This demo contains two demo CCTV surveillance video clips captured using a BIPRO-9004 bullet infrared security camera. The BIPRO-9004 can be used with any standard CCTV DVR and can be used for indoor or outdoor surveillance applications because of the weatherproof housing. This video contains two sample surveillance video clips captured using the BIPRO-9004 Bullet Infrared Security Camera. One of the clips is captured during the day in normal lighting conditions, and the other is captured in complete darkness. The daytime video was captured outdoors. The man in the video is initially positioned 20 feet away and walks to a position 10 feet away, and then waves. The next clip was captured indoors so we could capture a zero-light environment to show how effective the camera's built-in infrared illuminators are. Again, the man is positioned about 20 feet away from the camera initially and walks approximately 10 feet closer. Here is the daytime outdoor sample one more time. Here is the zero-light infrared sample one more time. 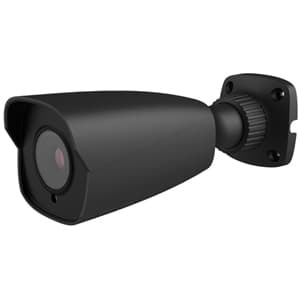 The BIPRO-9004 is a weatherproof camera that can be used for indoor or outdoor CCTV surveillance applications. This camera has a 3.6mm lens which captures a 90 degree field of view. The built-in infrared LEDs are rated to illuminate up to 80 feet. The Trinity-axis cable-through body mount completely conceals the video and power cable and allows the camera to be ceiling or wall-mounted at any angle. For more information and pricing, please visit www.cctvcamerapros.com/9004. Thank you for watching. Click here to learn more about the BIPRO-9004 security camera used in this video.